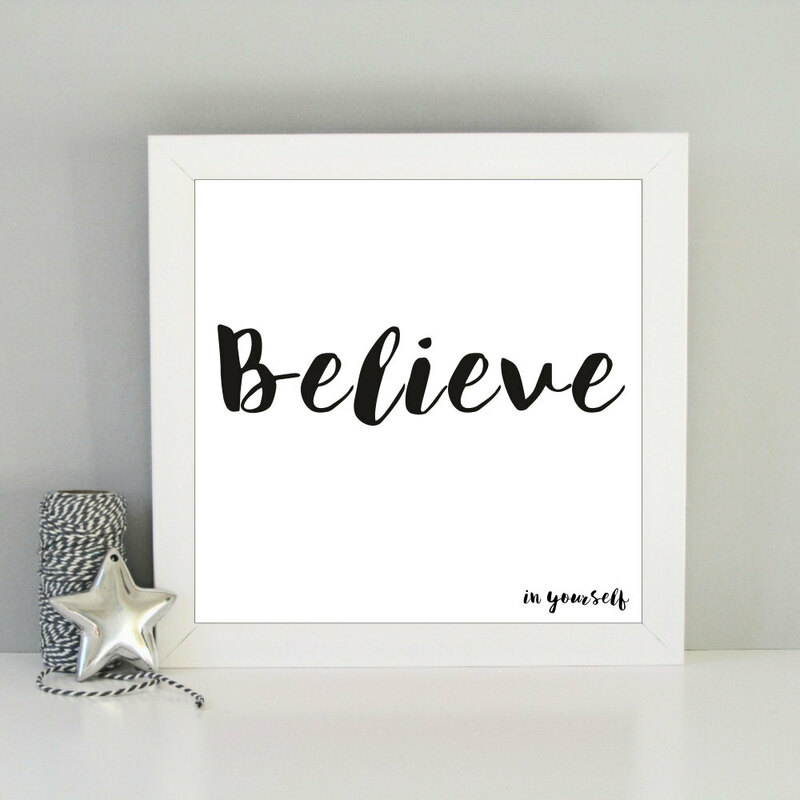 A modern and stylish framed art print with the text ‘Believe in yourself’. 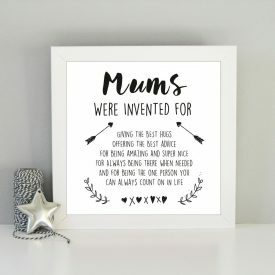 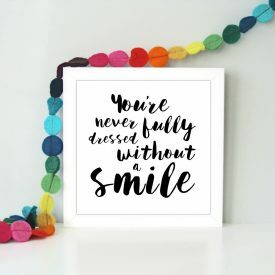 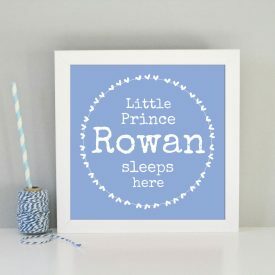 This print with its inspirational quote will look perfect in both home and workplace settings. 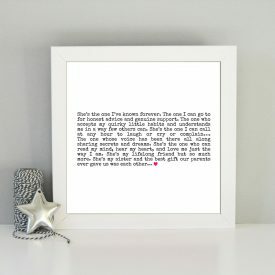 A great gift for Christmas, Birthday or any special occasion.